In a futuristic love story, Joaquin Phoenix plays a depressed loner trying to recover from the end of his marriage. Refusing to sign divorce papers and move on with his life, things begin to look up when he installs an Operating System (OS) named Samantha and the two become close. 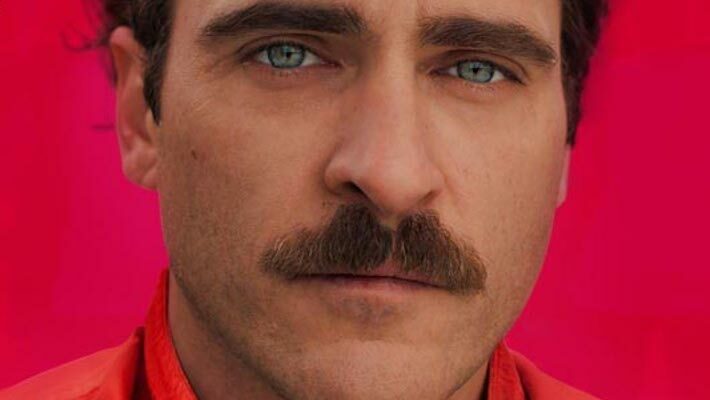 In Her, Joaquin Phoenix plays Theodore Twombly, who, despite the sound of his name, is a gifted writer and not a wizard. Theodore works for beautifulhandwrittenletters.com, a ghastly sounding company where Theo writes letters and lives vicariously through the emotions of others as he suffers from depression following his separation from his wife Catherine (Rooney Mara). One of the biggest problems this film has is convincing audiences that employing a company to write heartfelt letters to your loved ones on your behalf has any merit as a thoughtful and beautiful act, and not just a half-arsed idea which is devoid of any real emotion. This appears seriously flawed; how can Theodore be hailed as such a great writer if all he does is regurgitate stories people send him with the small adjustment of making them sound a bit fancier? In the film, Theodore is shown to be the fairly stereotypical sweet, flawed loner that we often encounter in romantic comedies; the character is likeable yet often frustrating. Theodore may also seem familiar due to the fact that Phoenix’s performance appears to be hugely based on the character of Leonard Hofstadter from The Big Bang Theory. From his appearance to his mannerisms, the similarities are striking and so off-putting that I often just expected Theodore to start talking in scientific jargon or come out with some sort of Star Trek reference. It feels a little like because Theodore occasionally plays video games and is competent with a computer, the filmmakers just thought ‘well Theo might as well just be Leonard’. Within around 10 minutes of the film starting, Theodore has installed and started to fall in love with his OS, Samantha (voiced by Scarlett Johansson). These Operating Systems are advertised as having consciousness and are therefore basically real people without bodies. Theodore only finds out about the existence of OS’s after walking past an advert for them, because this is the future and conscious AI seems to be no big deal. It is not long before almost everyone has an OS and many people are forming close bonds with their own Operating Systems. Because this all happens fairly quickly – and the film is over two hours long – the film did become boring in the middle. By 10 minutes in, the plot was well underway and then it felt a bit like nothing else happened or progressed until the final 15 or so minutes. This is another case of a modern trend in which films are far too long because someone seems to have decided that longer means better. Although beautifully shot, Her perhaps could have benefited from fewer scenes of Theodore’s aimless night-time wanderings around the unrealistically empty city. In what is billed as an alternative love story for the modern age, Her is not all that much of a love story (perhaps a bit deceiving as it was shamelessly released on Valentine’s Day). The film often fluctuates between portraying how humans and AI can co-exist peacefully and simultaneously being a cautionary tale against humanity’s increasing independence upon technology. The idea of a romance between a man and an OS is quite interesting, and departs from the typical, perhaps less realistic dystopian view that advancements in technology always equate to machines taking over the world. Although not your typical feel-good romance flick, Her does not resemble a science-fiction film either; despite its technological plot. In some respects, this seems quite apt. The depiction of technology in the film is not too far-fetched, and scenes portraying masses of individuals blocking out the world with earphones whilst talking to their hand-held devices should resonate strongly with audiences. It is refreshing that the film shows technology to be commonplace, and does not resort to any sci-fi clichés in order to have a plot revolving around a computer. Her is a film that is without a doubt beautifully made. The shots and the colours capture the spirit of the film brilliantly. The futuristic setting was exhibited subtlely and this ensures that audiences are more able to connect with the characters and the plot; especially important as the film is supposed to be a love story. The filmmakers also did well in crafting a personality for Samantha and on occasion it was easy to forget that she was not a real person. The focus of the film was of course mainly on Theodore, so much so that a more appropriate title for the film would have been ‘Him’. Theo’s loneliness, his awkwardness and his faults are portrayed very well, whilst the film did also have some good dialogue and funny moments; in particular, the scenes in which Theodore’s cute video game sidekick appears. The cast of Her is quite impressive, however much talent was wasted. Rooney Mara appears mainly through dialogue-less flashbacks, Olivia Wilde pops-up for two minutes as a blind date and even Amy Adams, who as usual does brilliantly, is criminally underused. Furthermore, as Her is both written and directed by Spike Jonze (Adaptation, Being John Malkovich) audiences may have been expecting something a little more original, more exciting and more absurd. SUMMARY: Visually pleasing and often enjoyable, save for the fact Phoenix plays a character from The Big Bang Theory.